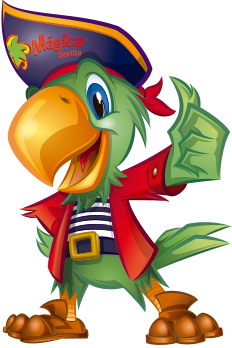 Celebrate with your friends or family a very special day in Isla Mágica! Spend a memorable day in Isla Mágica with your friends, relatives or university or work colleagues. Celebrations for small groups of a minimum of 15 people. Anniversaries, birthdays of adults, stag/hen parties, friend gatherings… or any other event you may imagine! 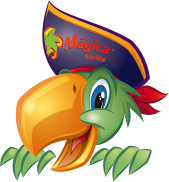 You can have access to Agua Mágica for a supplement of 9€ per person. Acceso Express (Fast lane access) to 8 attractions for 7€ per person. 1 hour: €9 per person. Individual bar service. Check prices. Bookings must be made at least one week before his celebration. Minimum group size is 15 people. Lunch with table service in Il Porto. Clients must choose in advance the same menu for all participants. Optional fast lane service is subject to availability. Check conditions. Open bar shall be contracted for the total number of people.